I have got this book as a gift from a friend who bought this at Stanford University's book store during our visit. 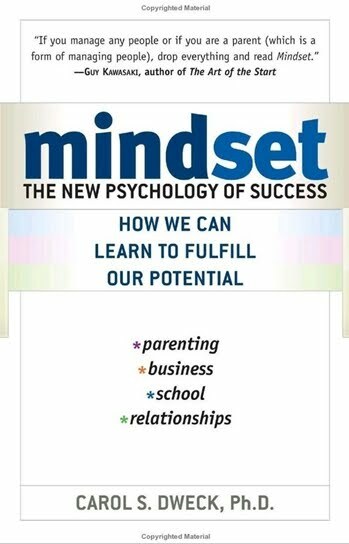 This is an interesting book that talks about mindsets, specially, the author classified them into two types, namely, Fixed and Growth. The fixed mindset people cares more on preserving their current success (if any), or avoid anything that they may fail, especially in front of others, if so, they blame on others or circumstances instead of themselves. The growth mindset people love to learn, and get better, success and failure are all learning experience and they are hungry to get more. Hard work is crucial for long sustainable success, fixed mindset people will abandon something that they fear failing instead of working harder, growth mindset people will try to go what it takes to do the job. 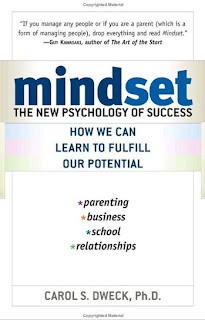 There are plenty of examples and experiments to illustrate the points, and the good news is mindset can change and we can nurture others such as young children to behave like the growth mindset. Overall, this is a good book, however, like a lot of books with good points, it tends to repeat itself too much. Once you have got the idea, more examples or analysis of the same thing seems a bit repetitive.